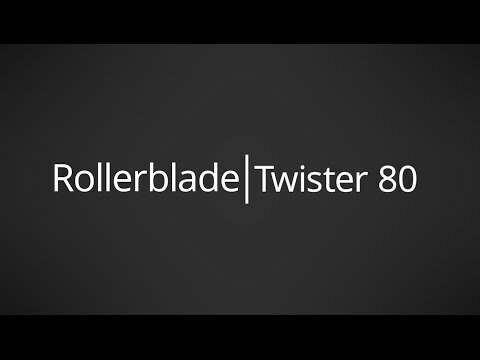 The Rollerblade Twister 80 Urban Inline Skates are made to be quick and maneuverable so you can skate between obstacles on the streets and through the park. If your playground is the concrete jungle then these skates were made for you. Back again for another year, and the reason there's an urban skate category, the Twister 80 will definitely remain a top choice for skaters. Here's why. For lots of comfort and to help keep your feet cool is the Vented Shell which offers a removable lateral slider. The Specialized 5 Star Fit Liner hugs your feet comfortably while ensuring that you have the performance to shift between pedestrians too busy tweeting about their cups of coffee. The Hot Rod Alu Frame is perfect at transferring the energy of each stride to maximize your speed and mobility. 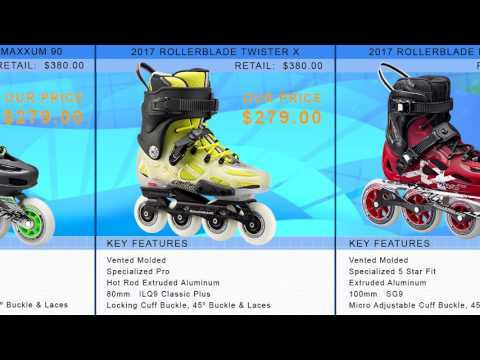 If you want a skate that's tough, quick and comfortable, the Rollerblade Twister 80 Urban Inline Skates are a versatile choice that you have to check out. Well made but busy Strapping System. I felt after reading, what I did in the day on Venice Beach Ca. was Urban trashing and looked for the best bang for buck, and this came up on sale as a 201x model, it fit tight, so tight that the 1 size up recommendation was not good for me I have to go 1.5 sizre up and now I can wiggle my toes. With that I felt in the best control, although fit, I am rusty from Not on inlines for ages, I don't find them any faster that the old 72 mm and gritty bearings, which is fine, I will speed up with more seat time. I think they over did it with the center straps and laces crammed in the same area one or the other would suffice and makes for putting them on and off an unnecessarily long process, perhaps breaking them in would make for easier in and out. Not much to say about these skates. Extremely high quality product and built with strength and durability in mind. I have already logged some tough miles on these skates doing stops, jumps, roller hockey, etc. They are definitely upto the challenge. Sturdy around the ankle and fast too, I have no problem getting to top speed in only a couple strides. That said, the boot fits VERY tight. I wore a size 12 soft boot from Rollerblade, which fits perfectly. I heard with hard boots to go one size up, and I thought I would be fine with a 12.5 Twister skate. Length wise the fit was fine, but the width was SO tight on foot, especially one spot near the heel which was the worst pain. And I have very narrow feet too, so if you have wide feet, consider going a whole size bigger or go with a soft boot. Q: How's the general width of the boots? My feet are EE (wide) and I just wanna make sure I'd be comfortable skating in these. A: In general inline skates are a fairly standard width and at this time are not available in wide widths from any manufacturers. If you have a wider foot I wouldn't recommend the Twister; the Twister's hard plastic shell boot is not going to be kind to a wider foot. I'd recommend a skate with a softer style boot as this will be more forgiving and will offer more room side to side. If still a skate is too narrow for you, you can add a heel lift to the boot which will raise your foot a bit and can alleviate pressure in the skate. Q: Do they have a brake? A: Yes, much like cereal it comes as a prize in the box. Q: Hi! I was wondering what the improvements are in the 2017 model and if they justify the 60 dollar increase. A: Really nothing to improve on these but Rollerblade did update the lace color and a few other cosmetic things. Comparing the price is slightly unfair since the newer model of pretty much anything is going to go up since manufacturers set the price for a period of time when the product is new. The last year model is a great deal but the trade off is availability; current year skate is available in all size but the past season is only available in select sizes so if you don't mind last years colorway and your size is in stock you're in line to get a good deal. Same thing if you want a previous year vehicle, you can get a great deal but may not be able to choose your features or colors.